Blyth Spartans will look to continue their excellent away form as they take on AFC Telford United on Saturday. Just one defeat in 11 games on their travels has kept Spartans on the periphery of play-off contention in stark contrast to the opening six away games where Blyth earned just a single point. Sprtans won the reverse fixture at Croft Park 1-0 as Maguire scored in first-half stoppage time to give Spartans all three points. However, Telford have playoff aspirations and will be looking to capitalise on a Blyth defence that has kept just one clean sheet in their last 14 games – coincidentally that came last weekend. AFC Telford United find themselves in a playoff position in the National League North with a game in hand on Kidderminster Harriers who are just outside the playoffs in eighth place. Telford have won 16, drawn nine and lost 10 games this season. Telford have had an inconsistent run of things as of late winning three, drawing two and losing one in their last six games. This may be down to their involvement in the FA Trophy as they made it to the semi-finals but were knocked out by Leyton Orient 3-1 on aggregate over two legs – two round after Orient knocked out Spartans in the last 16. This will be the 17th match between the two sides with Spartans winning eight, Telford winning four and there being five draws. The first match was a 1-1 draw in 2005 in the NPL Premier Division. 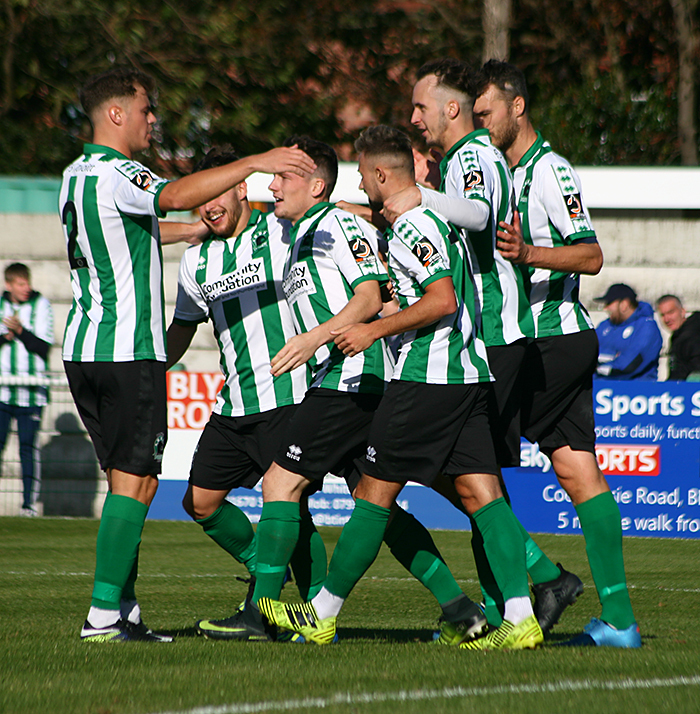 The biggest recent meeting of the two sides was in 2017 when the teams met in the FA Trophy first round at the Croft Park where Blyth progressed to the second round thanks to a Dale Hopson penalty. Former Telford defender Gavin Cowan returned to the club which he made the most appearances for as a player in 2018 to become the club’s new manager. This is Cowan’s first job as a manager and has got Telford into a good position to have a chance of achieving promotion to the National League this season. With 15 goals this season, Udoh is the joint third top scorer in the National League North. Udoh’s goals have helped fire Telford up the league in his first season with the club. The striker has made a massive impact at Telford as they finished 14th last season but now find themselves in the top six. Kieran Green is one appearance away from 50 for Spartans having made 37 this season. Robbie Dale is two goals away from getting into double figures for the season. Dan Maguire has played in every National League North fixture this season.